I love playing games, and I am always up for a challenge when it comes to puzzles of any kind. This has been an age-old craze that will never wear off. I was introduced to a puzzle app named Smart Games that has been developed by Atamagai. I am a big fan of jigsaw puzzles, and games like Brain Age, Kirby’s Avalanche, and Puzzle Quest Challenge of the Warlords. After playing such games you sure become an expert in assessing other puzzles, and I give Smart Games a thumbs up. 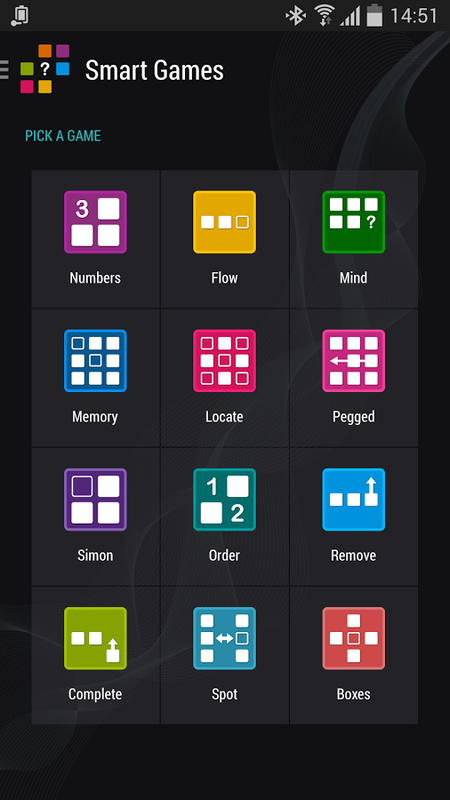 The game offers a variety of puzzles that you can choose from, and keeps you entertained through different hours of the day. For instance when I feel energetic and lively, I choose games that are mind-bending, and when I am a bit tired I go in for games like ‘Memory’, and ‘Mind’. The puzzles are quite interesting and help you improve on your reasoning, logical thinking, memory, and problem-solving abilities. As you play the game there’s a constant urge that keeps you wanting to play it on and on. You win badges, reach higher statuses, and get FREE stuff when you finish a puzzle. Yippee!!! 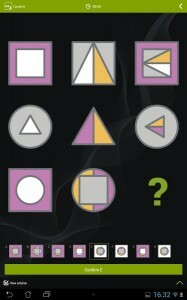  This is a game that I would love to share with my kids, as I want them to sharpen their IQ skills while having fun. 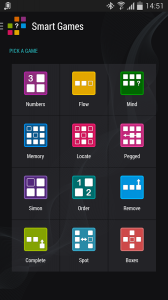 Smart Games is compatible with devices that have an OS of Android 4.0 and up. Smart Games is an app for all ages, and is a clever way to keep yourself and your family entertained.